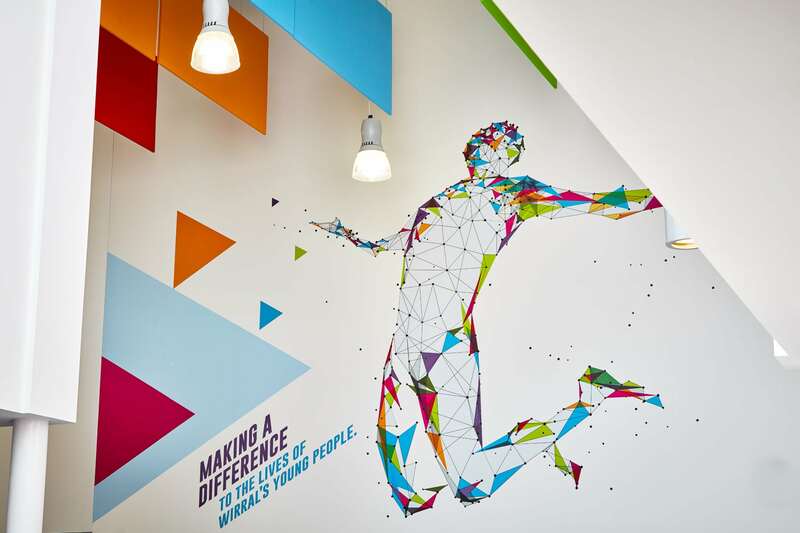 OnSide Youth Zones is a charity which aims to give young people a safe and positive environment, occupying their bodies and minds with fun activities and socialising in a safe, positive way. 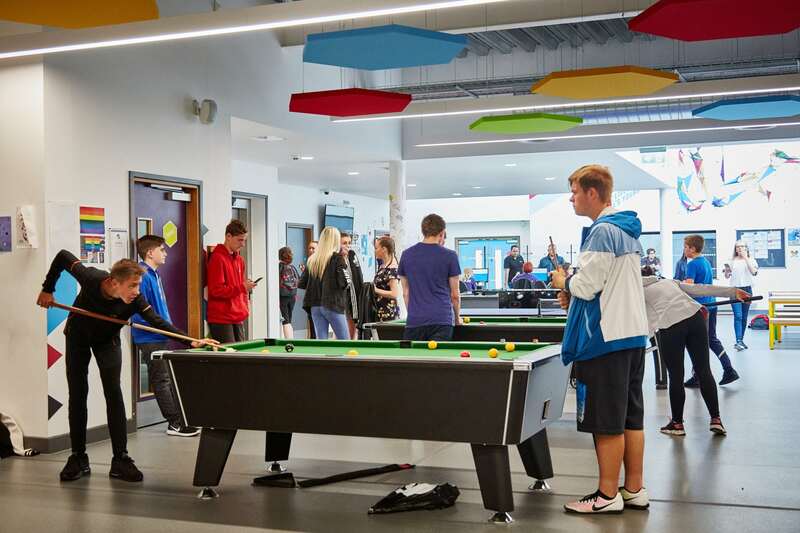 The Youth Zone at Wirral, The Hive, has been carefully designed with this aim in mind: providing a space specifically designed to inspire young people to learn new skills, connect with others and enjoy their leisure time. 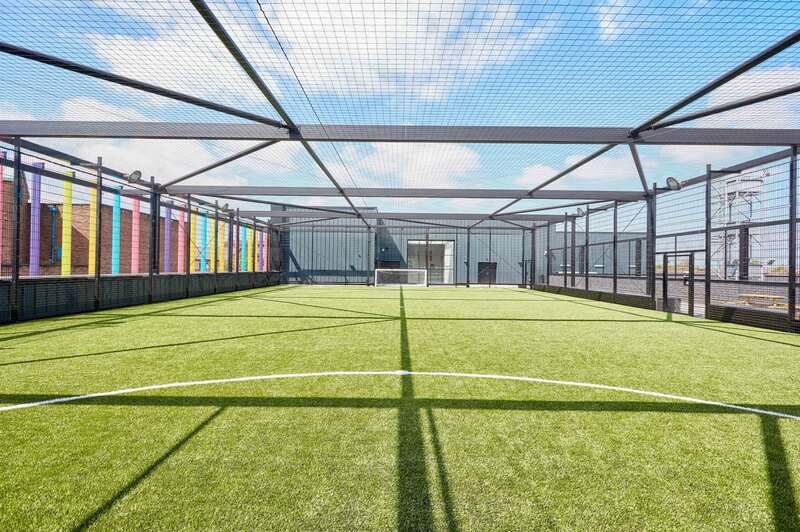 This custom built youth club offers over 2850m2 of modern sports, arts and enterprise activities through its multi-use design. 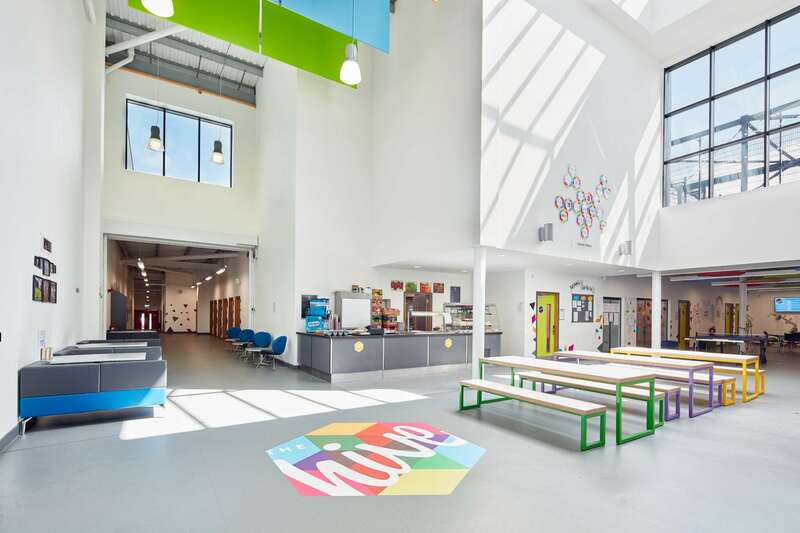 Facilities on offer include a fitness suite, a roof-top sports pitch, dance, performing arts, boxing and martial arts studios, with activity room for music, film, multi-media, enterprise and a range of areas for informal education. 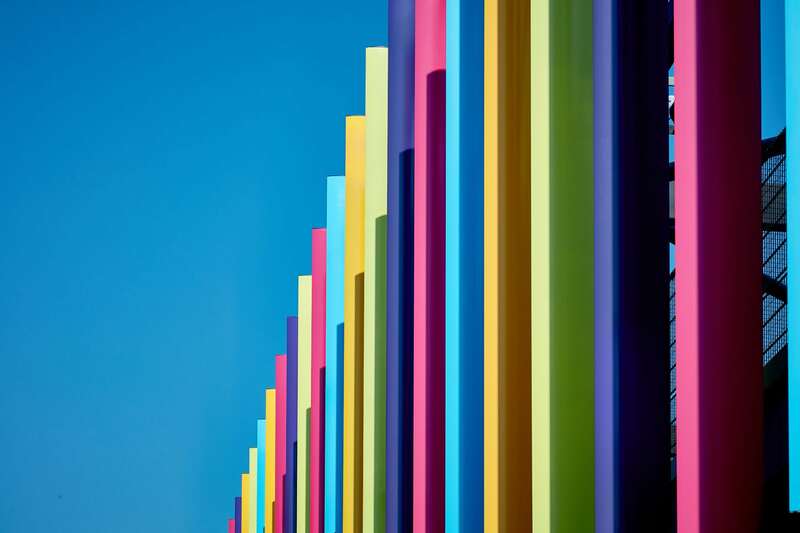 The full height windows at ground floor level provide maximum visibility – an important functional requirement for OnSide and the brightly coloured fins provide solar shading to the south facing windows and create a fun vibrancy; welcoming young people to the Youth Zone. 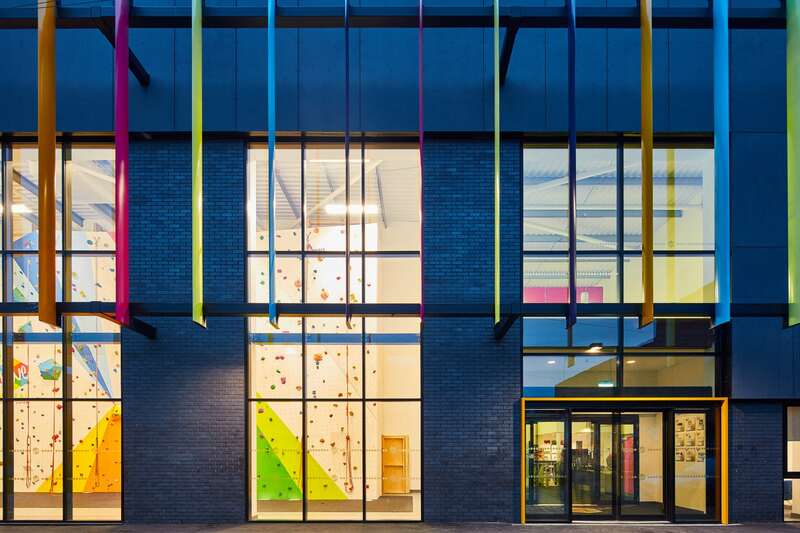 “It has been a pleasure working with Seven Architecture on our Wirral Youth Zone project in Birkenhead. Their design flair is matched by an ever-willing attitude and prompt delivery of drawings and supporting information. Seven also have a genuine passion for their work and I have no hesitation in highly recommending their services”.